New Delhi: The Ministry of Home Affairs (MHA), in a letter dated February 22, ordered additional 100 companies of paramilitary forces to be deployed to the Kashmir Valley with ‘immediate effect’ with the number of forces already stationed in the state. 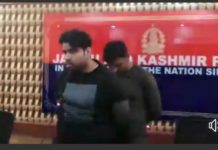 The letter was addressed to the Jammu and Kashmir home secretary, the state chief secretary and the director general of Jammu and Kashmir Police. In the letter. the MHA has also requested the CRPF to “ensure immediate movement” of the armed forces. 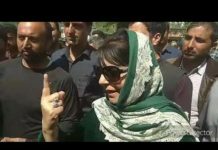 “We have to urgently deploy additional CAPFs in Jammu and Kashmir. 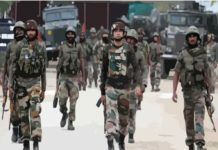 It is requested to provide 100 coys of CAPFs (CRPF-45, BSF-35, SSB-10 & ITBP-10) to the government of J&K with immediate effects, CRPF is requested to ensure immediate movement of forces in coordination with IG,” reads the statement.